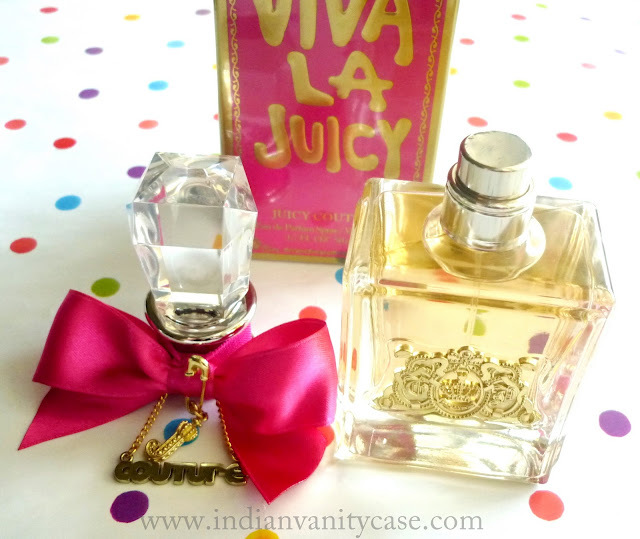 Juicy Couture brought 2 of my favorite things together in Viva La Juicy Perfume ~ A Bow & Hot Pink. Then this year, I promised myself I would get it! How on earth did I not see the hot pink bow?! I asked myself incredulously. Honestly, it's not my favorite scent, but it's not bad either. 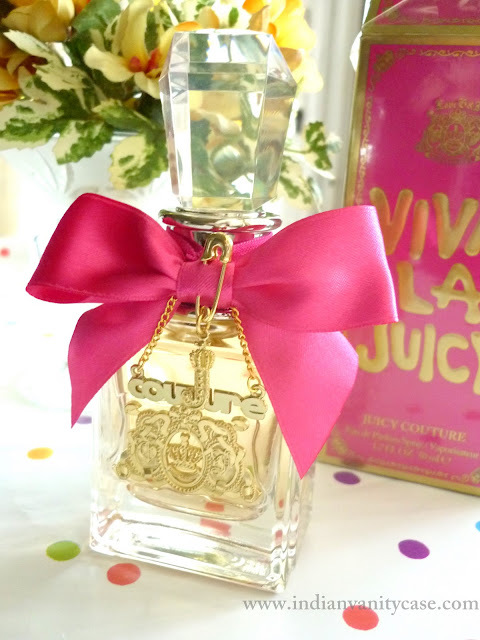 It reminds me of Britney Spears' Fantasy, which I don't wear, but adore the bottle. Viva La Juicy smells girly and kinda sweet, like a mixture of fruits and candies, but it's not the overwhelming kind of sweetness that makes you nauseous. I find that this perfume smells better after 30 mins or so after spraying it on my skin, although I must add that the smell doesn't last very long, say about 5 hours, then the fragrance starts to fizzle out. Bottomline: I love it! The fabulous bottle makes up for everything I *might* not like. My collection would be incomplete without it. Thank God you reviewed it. I was about to ask, mr to get me a Rollerball of this perfume but not any more, i dont really like sweet smell. wow i love the packaging!! Gorgeous packaging..I too drop the tester strips in my hand bag at times..It kinda tests the perfume strength and lasting too na? 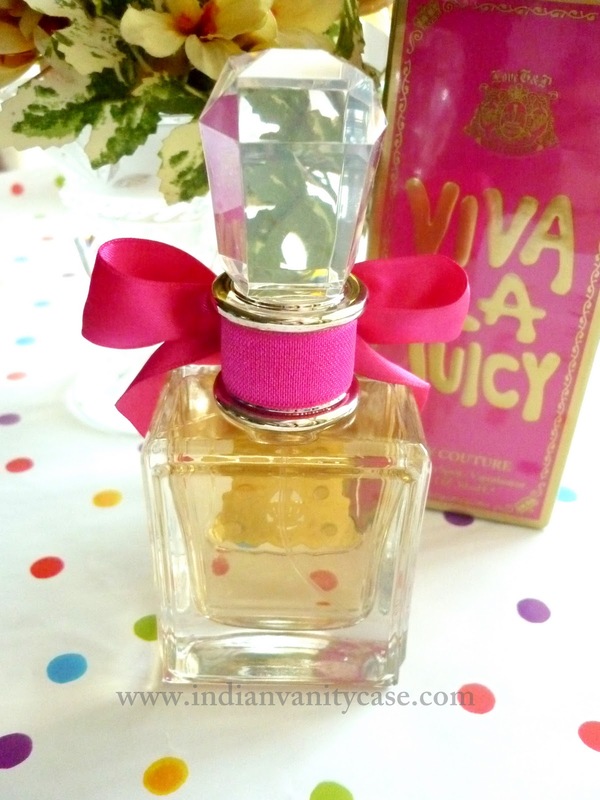 The bottle will literally lighten up any vanity table, too pretty! But I'm not much into sweet fragrances either, like you said they tend to make me nauseous. My boyfriend said my taste in fragrance was very "mature" (I believe that's just him showing some human decency, not wanting to mention that I sometimes smell like an old lady, haha!). Pop C~ lol...hope he does! I'm glad you got this one C! 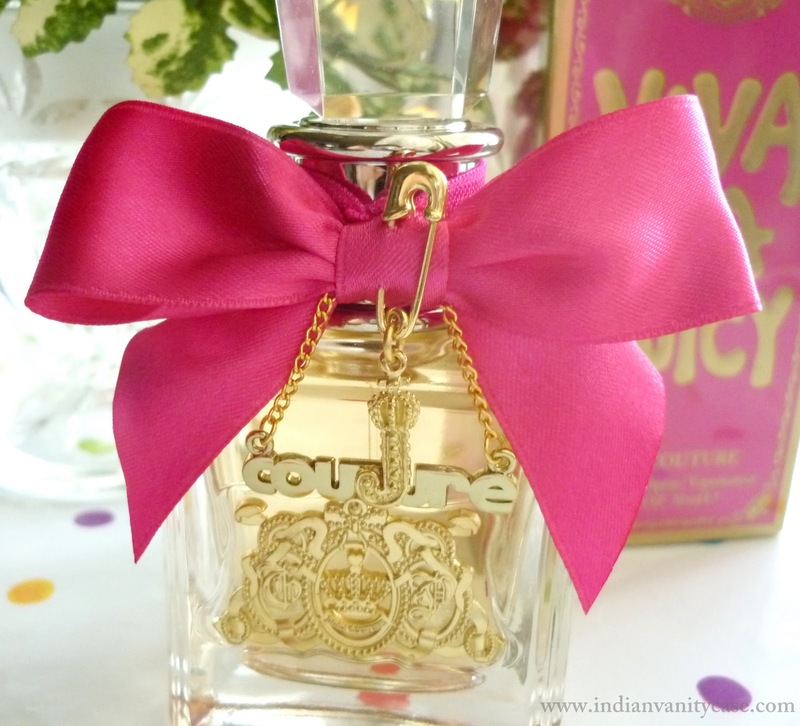 I <3 juicy couture! !